Featuring music by Sven Karlsson, Chris Zabriskie, and Kevin MacLeod. Mahoney’s work is great for those who like their speculative fiction thoughtful, eloquent, and messy. Barnabus’s nephew is behaving oddly. Calling upon Doctor Humphrey for assistance has not been particularly helpful, because the good doctor’s diagnosis of demonic possession is clearly preposterous. Even the demon currently ensconced on the front room couch agrees it’s preposterous. But then, how else to explain the portal to another world through which his nephew and Humphrey have just now disappeared? Barnabus knows their only chance of rescue is for Barnabus J. Wildebear himself to step up and go through that portal. Thus begins an existential romp across space and time, trampling on Barnabus’ assumptions about causality, freewill, identity, good and evil. Can Barnabus save his nephew—and incidentally, all of humanity? 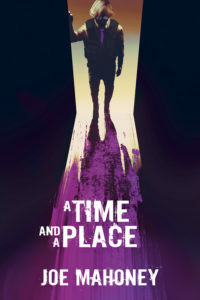 A Time and a Place published by Five Rivers Press.